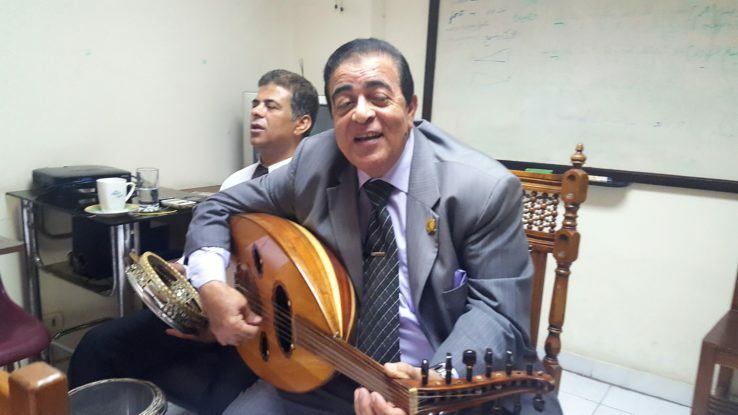 Our end of summer term lecture was delivered by maestro and vocalist Dr. Mustafa Ahmed who gave an overview of Arabic music on Oud and percussion. 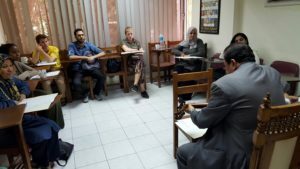 Students were introduced to the principles of Arabic maqam, its origins and development, Arabic percussion and to the main differences between western and Arabic musical systems. Led by the beautiful voice of Dr. Mustafa, they also sang Sayyid Darwish’s “Ya Ward ‘ala full wa-Yasmin” before they finally expressed their appreciation of the Arabic musical culture.